Have you ever heard of cucamelon? While these delicious fruits aren’t very widely known, they’re gaining popularity as a part of home gardens. Why? Among other things, they’re resilient and easy to grow. Looking for something fun and new to add to your garden? Here are a few things you should know about cucamelons. Cucamelons are native to Mexico and Central America, where they’re known as sandita or “little watermelon.” They’re also called mouse melons or Mexican sour gherkins. Though they seem like a cross between a watermelon and a cucumber, they’re not actually a version of either plant but their own species entirely. Cucamelons taste very similar to a regular cucumber: mild, crisp and refreshing. They also have a slight sour taste similar to a lemon or lime. The fruits grow to a size similar to a grape or cherry tomato, which makes them a perfect addition to a fresh salad. Cucamelons are fairly fast growers, with plants reaching full maturity in about 80 days. This means they’re well-suited for cooler climates where the growing season isn’t as long. It is a vining plant, so it needs a trellis to “climb” up as it grows. Cucamelon plants are fairly low maintenance and don’t require much special care as they grow. They do require a lot of water, so make sure you don’t miss out on regular watering sessions. You’ll know that the fruit are ready to harvest when it reaches the size of a grape. Cucamelons aren’t very widely known, so you may not be able to find them at the local supermarket. However, it’s quite easy to find seeds online, in order to grow them yourself. Query your favorite search engine and you’ll likely find that you can purchase cucamelon from a number of stores, at reasonable prices. Let the planting begin! 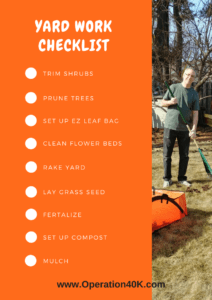 Making Yard Work Easier – with checklist! It’s that time of year: spring! It seems a little slow coming thanks to mother nature, but the cooler temps make it a lot more comfortable to work outside and get the yard ready for summer. We partnered with EZ Lawn & Garden to find out if it could claim that it was Making Yard Work Easier, and it did! It really was like a large dust pan for the yard. We follow a routine each spring to get things ready and, the yard at the new house is much smaller and easier to manage. Still, we have the same list that we work over and I will share it with you below. We always start with looking over the shrubs and trees. It’s important to remove the dead and dying branches so they will focus on new growth instead of trying to keep itself healthy. Get the pruners out and clean them up! Now, we take a moment to set up the EZ Leaf Hauler bag… it is a 6 foot by 4 foot gem that really made our yard work go faster. It has some assembly to keep it’s reinforced side pannels rigid while in use and then has “tent stakes” to keep in place. No worries – they are easy enough to lift out so you can move it to a new location when you have finished working in that area. Then, it is time to rake the grass, clean out the flower beds and look at that raised garden bed. All the junk goes into the EZ Leaf Hauler and is easily moved to your compost pile with the built-in heavy-duty handles. 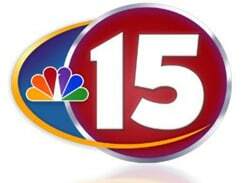 If you are in a place like Madison, Wisconsin – this is where you could take it to your curb and dump it out. They have those wonder trucks come through that just vacuum up the debris. Towns like mine require bagging, so we compost. If you ARE a bagger, they have this cool thing that fits on the back of your rake to help you tamp down the yard waster to fit more in the bag! It is actually called the EZ Leaf Stomper. It attaches to most rake and broom handles, has a foot pedal activated attach and release and means you use fewer bags! 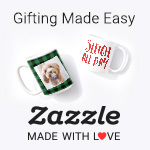 It’s just darned cute too! Everything cleaned up? Take a walk through the yard and look for bare patches of grass. Maybe you had a herd of over aggressive nut burying squirrels last fall and you have bare spots all over. Maybe you had some die back. Maybe those bunnies wore out a path to the bird feeder where they cleaned up the ground from what the sloppy birds threw over the edge. No matter what the reason, get out the grass seed and replant. Throw a quick round of fertilizer on the ground and then get the mulch out to repack the flower beds. I know it seems like you are killing an entire weekend here, but the effort is more than worth it! Better than a blower: cheaper, quieter, no gas needed. Hmmm, environmentally friendly, quieter, sturdy, and designed for the job? If the 6 built in handles aren’t enough for you, you can get the EZ Tarp Tugger Kit, but we never cracked it open. It’s good for those of you who still love your old blue tarp – but you are seriously missing the boat! I HATED raking piles on to the tarp, just to have them sail over. The “backsplash” on the EZ Leaf Hauler is what sold me! Dahlias are such beautiful and full flowers, and are pretty easy to grow! You can enjoy months of big and full bright colored blossoms! They really are a great way to dress up your landscaping and impressing guests as they arrive! If you are looking for some tips for growing dahlias, than you have come to the right place. I have compiled a list for ultimate growing tips for dahlias! 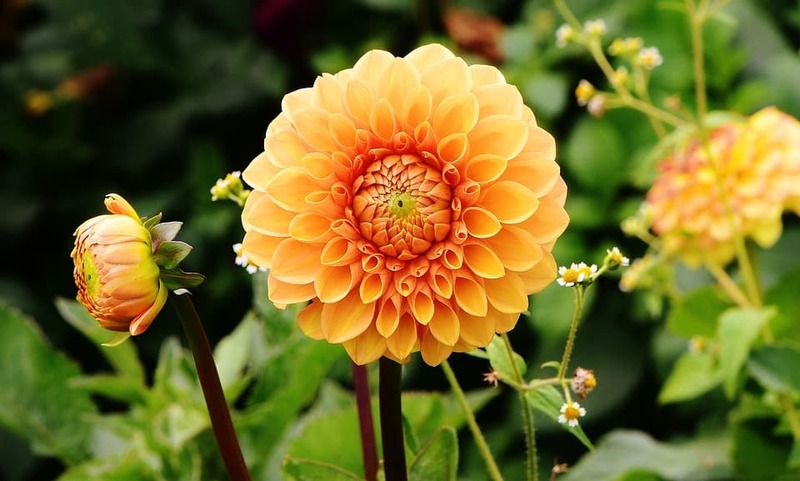 Dahlias are somewhat like hostas, peonies, and roses, you can plant just one! 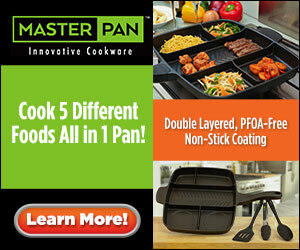 Once you have one, you will be amazed at the beauty and want to fill up your beds with more! You want to make sure that the soil is warm around 60 degrees. Dahlias are warmer weather fans, and will not grow with cold soil, as they are sensitive. If you live in a cooler place, you can plant them early, and once it warms up go and transplant them outdoors! Make sure you have well-drained soil, that is optimal growth conditions. Also aim for a pH of 6.5-7.0. You can use a liquid fertilizer once a month throughout the growing season, just watch nitrogen level in fertilizer. When you go to plant, try to plant them at least 15″ apart from center to center. If you have a standard type, shoot for 18″. If you dig down to 12-14″ you can add in some compost to help provide nutrients to your flowers. Then plant the tubers with the sprouts upright. You want the tuber to be 3-4″ below the soil, and then fill the hole in with soil. Staking is something that can be overlooked, but it is beneficial! Dahlias have somewhat of brittle steps, and if it becomes to windy or a heavy rain, it can cause damage and breakage to the plant. If you add 1-2 stakes beside the tubers, they will twist around them, providing support to the stems! You can prune your dahlias, by pinching out the center shoot above the third set of leaves. This will help your plants become bushier. They love to consistent watering. If you can do a drip irrigation, this will help provide the consistent watering. If you can, make sure you go out and water regularly. levels. Aim to water a few times a week, just make sure the top inch of the soil dries out between. Don’t use leaves or straw for a mulch, this can really draw in disease and insects. Make sure that if any leaves or debris are around the plant that you clean it up. Slugs and snails can be the two that are drawn to the flowers the most. By keeping around the plants clean can help, and you can place a few pennies around them to help detour slugs. Heirloom seeds are a great way to explore varieties of vegetables you’ve never eaten before. Not only will you be able to try new flavors, you’ll be able to watch the plant go through every stage of life from seed to harvest. Are you considering the possibility starting an heirloom garden? These are plants that are both fun and easy to grow. Beans are a hardy vegetable that come in several different varieties. They are very tolerant of heat and cold, which makes them a great crop for just about anywhere in the continental U.S.
Not only are beans a wholesome addition to many well-balanced meals, they taste good raw and make an excellent snack both around the house and out in the garden. Whether it’s sweet peppers, bell peppers or fiery jalapenos, peppers are easy to grow and bring a lot of flavor to a dish. Peppers are generally low-maintenance plants that are particularly resistant to bugs and pests. However, they can be a bit sensitive to the heat, so be sure to give them plenty of water if you live in a warm, dry environment. Both the roots and the greens of beets are edible, which makes them very versatile in the kitchen. They also come in many different varieties when it comes to colors and flavors. Beets are easy to grow and resistant to cold and frost. This makes them an especially safe choice for gardeners in the northern U.S.
Heirloom tomatoes are a very popular crop, with all sorts of different varieties available. They’re are relatively simple to grow, as long as they don’t fall victim to pests such as the dreaded Tomato Hornworm. The deep purple colors and patterns in heirloom lettuce make it a vibrant addition to a salad. Lettuce is also an extremely easy plant to grow. 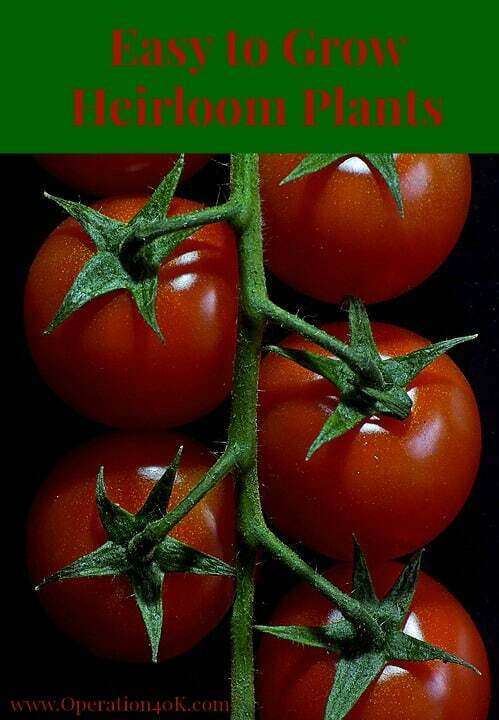 You can even start growing it indoors and sow it into your garden once it’s gotten a good start. If you are going to be doing some landscaping consider reading on how to use mulch properly and the best variety you might want to go with. Mulch is great for weed control, keeping roots warm in the winter and cooler in the summer, and it is great for keeping moisture locked in for the plants after a watering. If you have low shallow rooted plants it is a great way to protect them from being uprooted from high winds, it also gives nutrients to the soil as well as your plants. Mulch truly has many benefits, and it is worth the time and money to put it down. 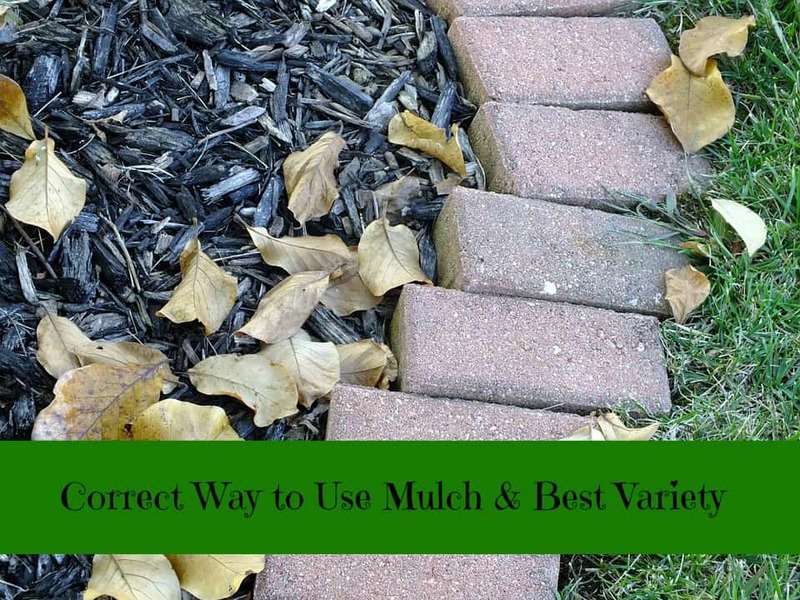 If you didn’t know not all mulch’s are created equal! Some mulch’s have stronger points and others have weaker points depending how you will be using it. Once you take time and learn the correct way to use the mulch and what variety to pick, you will be able to reap the benefits of your hard work. When you go to spread out mulch, you want to aim for 2-3 inches thick. If you do to thick it can be a hiding spot for bugs, and you are just wasting money. 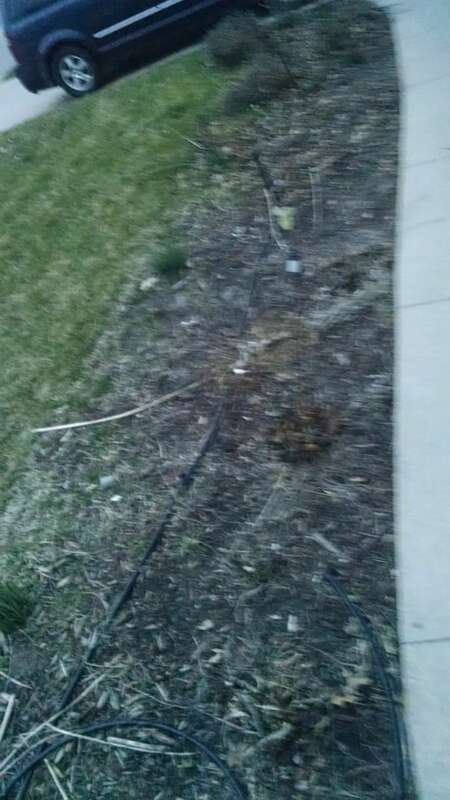 Don’t mulch right up to the base of the plants, as it can cause rot. Mulching trees and shrubs is similar to flower beds, but make sure not to add mulch right up against the trunk. By doing that you will be at risk for disease and rot in your tree as well as allowing bugs to infest. Spread 2-3 inches thick, and don’t mulch right up against the roots or trunk of tree and shrubs. Make sure you take time to weed before you go and lay down the mulch. Make sure to pull any weeds and grass, this will help keep weeds from popping up. Organic – Organic is made of materials anywhere from compost, bark, wood, leaves, grass clippings that will decompose and add nutrients to your soil. This will be beneficial for a few years, and than you will need to add more or replace the mulch you have down. Inorganic – Inorganic mulch is made of items like rocks, rubber chips, plastic sheeting and more. It doesn’t add any benefits to your soil or plants like organic. This is made of recycled rubber and tires. Not really meant for flower beds, but best to be used for playgrounds, walkways, and even driveways. Generally lay anywhere from 2-4 inches thick. This is where you take leaves that have been left to slowly rot and decompose for a year. This is best to be used in sandy soils, vegetable gardens and around fruit trees. It is rich in magnesium and calcium which will help nourish your plants. Straw is a very affordable option, but it has some downsides. It can attract mice in the winter, and if the wind blows pretty good, it will blow right out of the area you have used for mulching. It is good to use for winter time to much around roses to protect, but recommended to remove when warmer weather arrives. This is one of the most used mulches. It is great to be used for decoration, and you have a variety of options of shapes and colors. It is recommended that you lay down some weed barrier first, and even a layer of compost to give nutrients to plants. Sometimes mulch can cause a nitrogen deficiency in plants, and can stunt their growth. So it is important to feed your plants with fertilizers or manure, if you go this route. Gardening is so therapeutic and a great way to cut your budget. That’s why this list of Ultimate Gardening for Dummies Tips for a Backyard Garden is going to be life changing. Getting out and digging in the dirt to build your garden is going to totally change your life. Gardening for dummies is a way to help those who are new to gardening begin with all of the tips needed to succeed. 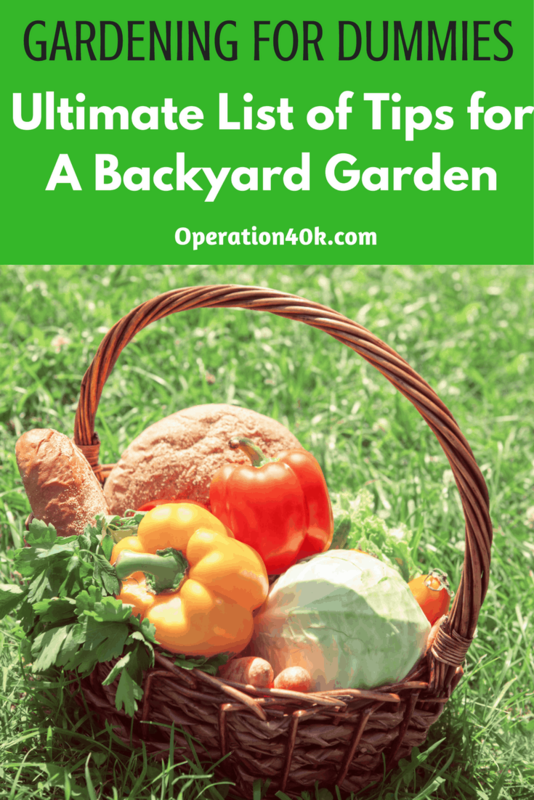 Whether you are working on your first backyard garden or planting your first fruit trees, this list of posts and tips is going to be great for you to investigate and learn from. No longer will you have a black thumb! If you are completely new to gardening – this list of posts is truly the place to begin. Gardening for dummies is a funny way to help you start with a backyard garden. Whether you are focused on planting a vegetable garden, container garden, or just a small herb garden this is a great place to begin. If your interest is more on alternative gardens instead of the traditional backyard garden for vegetables, then these posts may be of interest. 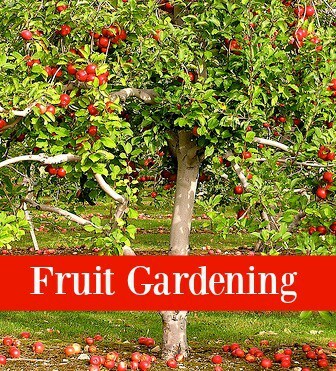 Fruit trees are a great addition to your gardening. You will also see our tips about square foot gardening as an alternative to a traditional garden. These posts are ideal for helping you to take a look at your garden ideas and think outside the box. When you start your garden, you need a few good tools on hand. You’ll also want to learn more about things that can save money, get your family involved, and ultimately help make gardening easier for you and your family. These posts are just what you want to make that happen. This list of amazing posts is ideal for any beginning gardener, but also will help with those who feel like they need the Gardening For Dummies tips. Anyone can garden and be successful. 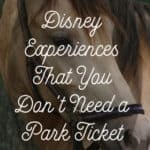 These tips and our experiences just prove that! Being able to set up a backyard orchard is always a lot of fun, and gives the entire family the chance to enjoy fresh fruit during the summer and fall. Growing fruit trees in your backyard is all about choosing the right trees for your backyard habitat and hardiness zone. Whether you plant just one tree, or an assortment of trees, choosing the trees is a small decision that makes a huge difference to how well the trees do, how much time you need to spend caring for them and how much fruit you will be able to harvest. Use these tips to help you choose fruit trees that are suitable for growing in your backyard. However you decide to plant your fruit trees in the backyard, whether directly into the soil or in a garden bed, it is important that you know the soil. Trees are super resilient, and great at adapting to the soil they are planted in, but in order for fruit trees to bear fruit, they need to be able to find nutrient rich soil. Well drained, not packed soil that has a balanced pH level is best for fruit. Fertilizer can be added to amend the soil depending on the type of fruit trees you plant. The next step to choosing fruit trees for the backyard is to check out the space you have available and the amount of sun those spaces receive. Fruit trees need plenty of sun, its the only way they can get enough energy to be able to grow their fruit. Make sure that you are not planting the trees in the shade or canopy of another tree. Space is another factor that is going to play into the health and growth of your tree choice. While there may be enough clear space on the ground for a tree to be planted, look up and determine how many feet on each side of a planting spot would a canopy have free space to grow. Choosing the type of fruit tree comes down to two factors, what your yard can support and what type of fruit you want to grow. Whatever you grow, you will have an abundance of, so make sure it is a type of fruit that you love and can eat or process a lot of. Apple, pear and peach trees produce larger fruit that the average family should be able to harvest and use with ease. Cherry trees produce a huge number of smaller fruits that take a lot more time to collect and might need to be shared. A lemon, limes, grapefruit or orange tree produces a decent amount of fruit, but with fruit like lemons or limes, you might also need to share because there are only so many lemons that the family can use. Whatever tree you decide on, make sure that the soil, sun and space are there for the type that you decide on. Look for trees that are young and have not been out of the soil for too long. Fruit trees that have healthy leaves and roots that are loose and not tightly coiled. Trees that already look like they are struggling to survive might not survive through the first season, or take one to two growing seasons to regain their health. 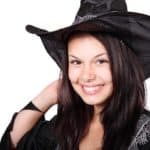 In today’s world, everything seems to be consumed with electronics and you can pretty much access just about anything at the touch of a button using your smart phone or device, and I mean ANYTHING. Well having so much information in the palm of your hands can actually be very useful when it comes to simple activities in your house such as cooking, cleaning, or even gardening. If you’re looking to get your hands in the garden and start planting away, I am going to be sharing with you 5 totally free apps that will help you out with that. -Garden Time Planner: This app is great if you are a beginner, or if you want to start planting something that you have never planted before. Garden Time Planner contains a huge library of several plants, vegetables, flowers, etc. that you can plant and it tells you just how to plant them and how long they should be planted. -Garden Answers Plant Identification: This app is extremely beneficial to those that are not completely familiar with gardening just yet. You can take a picture of practically any plant or bug/pest that may be in your garden and this app will tell you what it is and guide you on how to take care of it. Whether that be how to care for a plant, or how to get rid of pests, this app is here to help. -Life – Smart Gardening Journal/Diary: This one is a great way to watch over and care for your plants. With this app you are able to record the growth and progress of each of your plants in your garden. You can keep everything organized and easily accessible, which makes gardening that much easier. -Gardening Ideas: This app is great if you are one that wants to create a huge garden area in your backyard or something along these lines. This app will provide you with beautiful ideas for structures to build around your garden and how to plant things to create a really beautiful garden are. -Gardening Care: This app will provide you with everything you need to know about caring for and maintaining your garden. This will inform you not only how to care for their plants themselves, but also your lawn around the garden and the soil that your special plants are growing within. Gardening can be a really great hobby and can provide your family with a plentiful supply of delicious, fresh fruits and veggies. I would highly recommend any of these apps to keep your garden looking great and keep you in the know of everything about your garden. Mel Bartholomew was experimenting in his garden on how to grow the highest yield of veggies out of the smallest amount of space available. He created the Square Foot Gardening concept which is now widely used as one of the absolute best ways to garden. The trick is in the soil. When it has the right organic matter added to it, it makes it super enriched, which makes the plants thrive. The key to successful square foot gardening is definitely in the soil. Into your starting organic potting soil add in blood meal, bone meal, and earthworm castings plus organic compost. You can also add in fish emulsion and bat guano as well. Mix it all together really well before you create your planting beds. As your plants grow, side dress them with this mixture. One thing that Mel Bartholomew realized was the amount of wasted time and energy that occurs when growing in rows. It wastes a lot of space and you typically need to invest in machinery to clear and harvest the space. Instead, create 4×4 foot planter boxes. This size is perfect so you reach into the square instead of stepping on the soil or harming the plants. The most common material used to build a square foot garden is untreated wood. They can also be created out of cinder blocks or bricks. 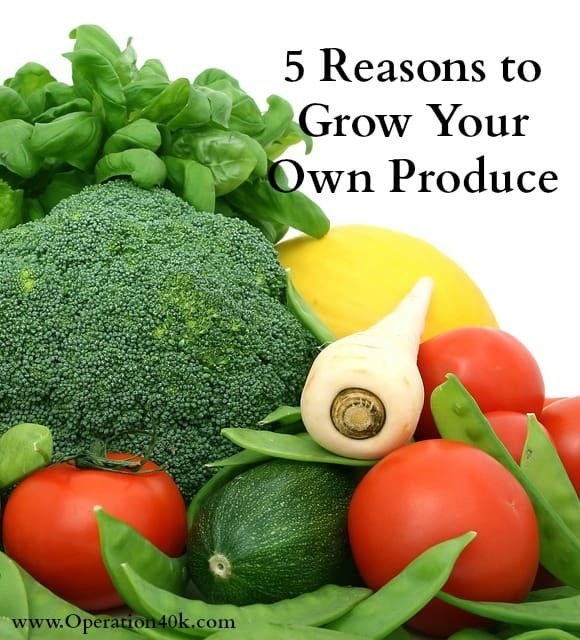 Make sure that you create it to be at least 8-10 inches deep so you can grow root vegetables. Place a weed barrier down before you add the enriched potting soil. Pick up some garden string and make a grid on top of the planter box. The grid lines should be 12 inches apart, making each square a perfect 12 inches. The key to the planting in a square foot garden is to know how many plants will fit into each square.